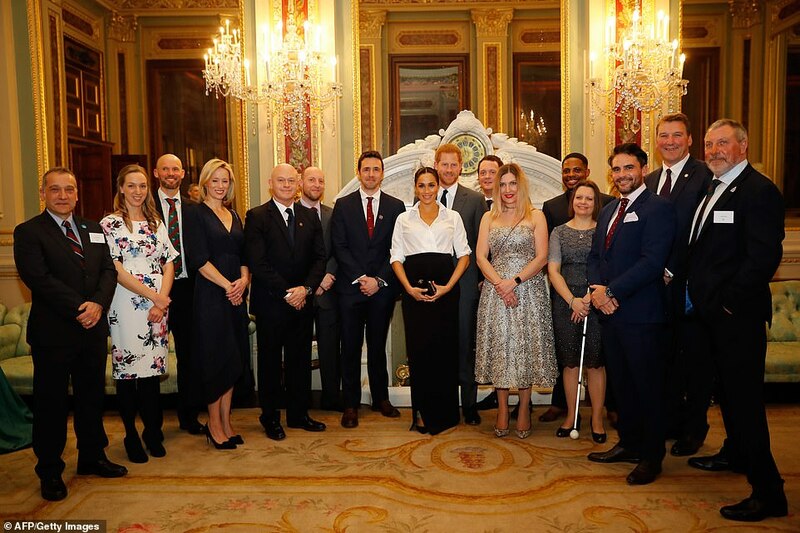 Harry and Meghan are at the Endeavour Fund Awards in London honouring those who, despite life-changing injuries, accidents or illnesses, have excelled in sporting or adventure. 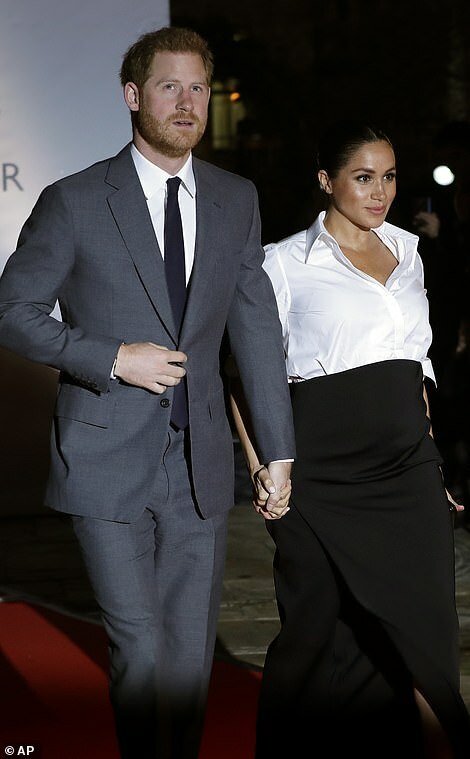 The Duke and Duchess of Sussex dazzled on the red carpet tonight as they stepped out to celebrate the achievements of wounded, injured and sick military veterans who have taken on remarkable challenges. 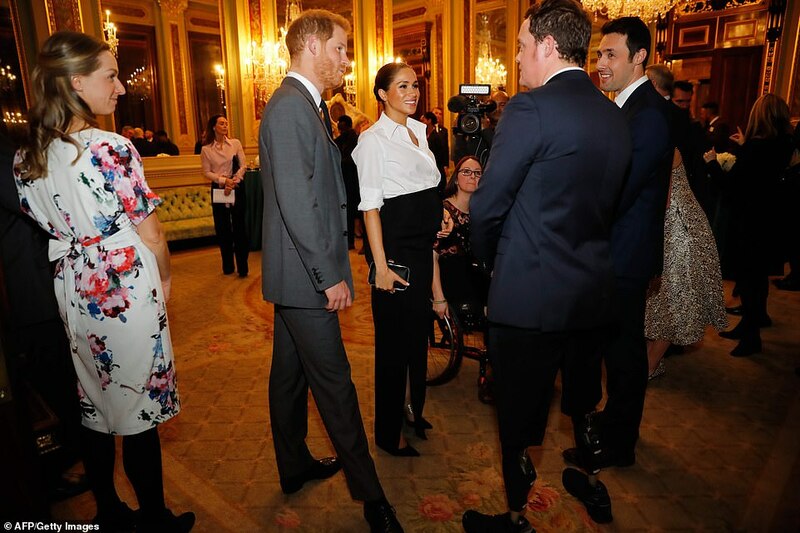 Harry and Meghan are at the Endeavour Fund Awards in London's Draper's Hall honouring those who, despite life-changing injuries, accidents or illnesses, have excelled in sporting and adventure pursuits. 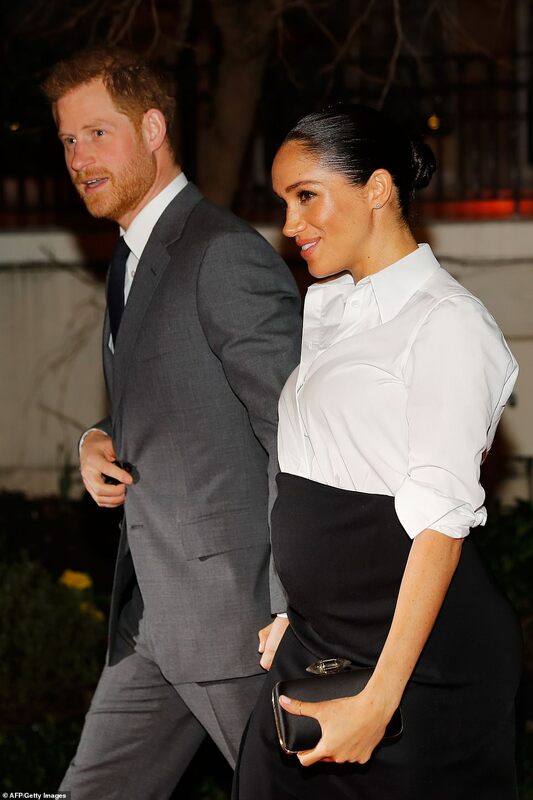 Meghan, 37, dressed her baby bump in almost head-to-toe Givenchy, pairing a crisp white shirt with a side-split skirt and box clutch by the designer, which she teamed with £530 Aquazzura 'Rendez Vous' pumps. 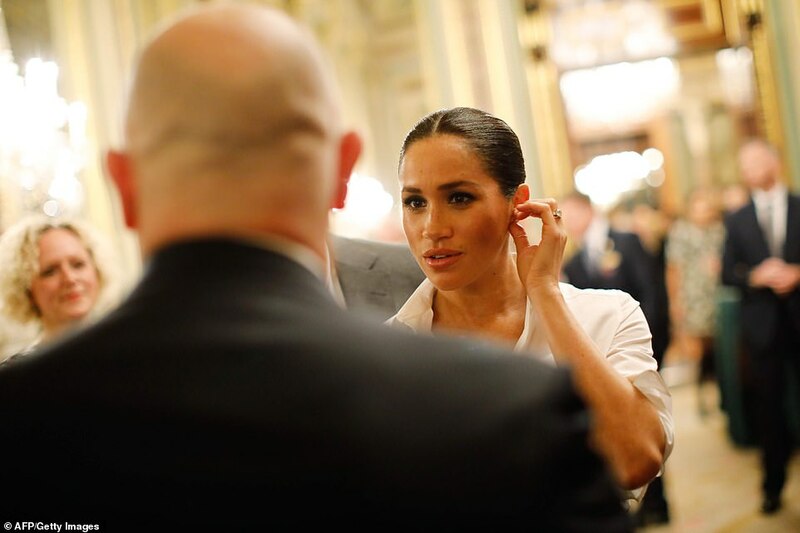 The couple's appearance tonight comes after friends warned of the 'emotional trauma' Meghan is dealing with following her family's ongoing public feud and abusive comments made on social media. 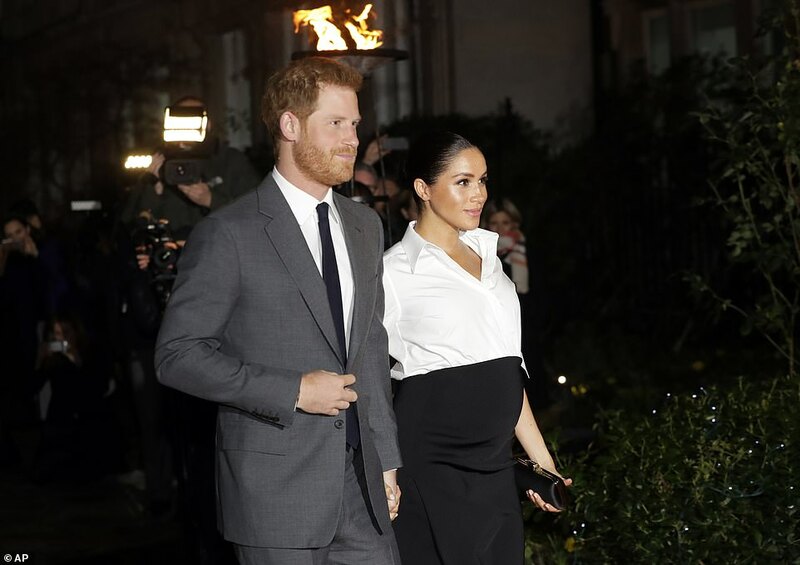 The group of unnamed friends also voiced their concerns that the strain of her ongoing estrangement with her father, and the stress of dealing with his public rants about her, could well be taking its toll on Meghan and Prince Harry's unborn child. 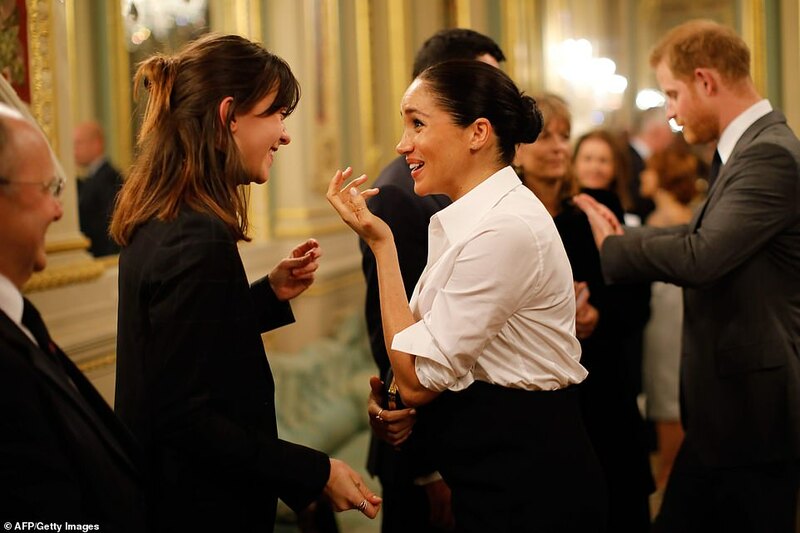 It emerged last week that Kensington Palace staff are spending hours each week moderating online abuse aimed at Meghan, a former star of the show Suits, and the Duchess of Cambridge. Inside, the couple looked relaxed and at ease among friends and serving and former armed forces members. Host for the evening was Ross Kemp, the actor and documentary maker. He said he spoke to the couple about their new Labrador puppy. Kemp looked emotional as Harry praised him for his documentaries he made about soldiers fighting in Afghanistan in 2008-9. 'He said it changed public opinion in terms of the sympathy towards the soldiers in the ground,' the actor said. 'Your Royal Highness, you're absolutely amazing in acknowledging many of us soldiers,' Ms Ganfield said. 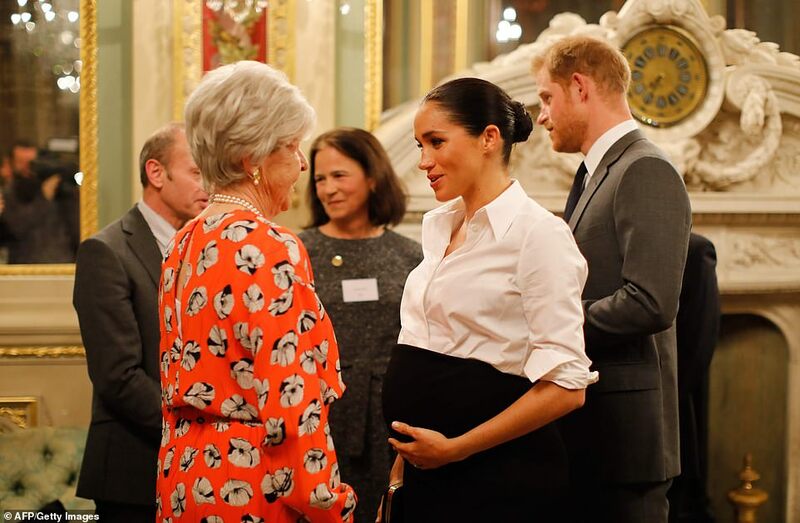 'And the Duchess of Sussex— you've got all this to come. 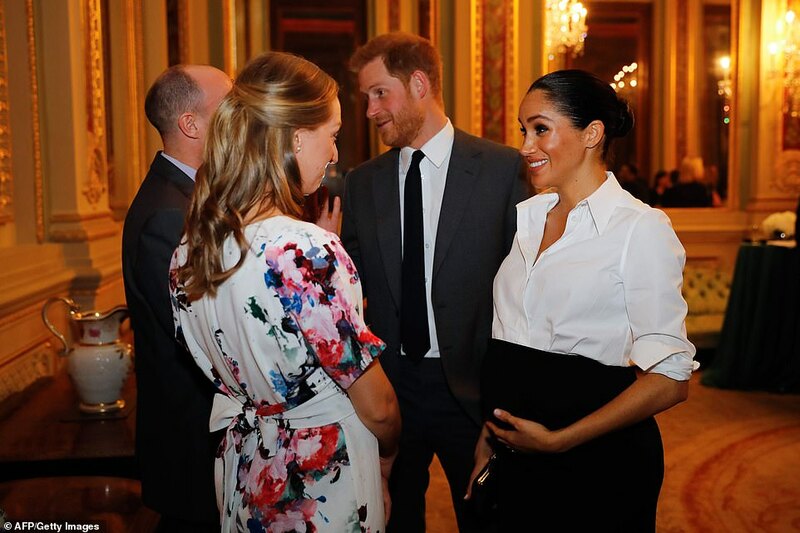 Earlier, Ms Ganfield met the couple at the reception when Harry had teased her and her running guide Mikael Huggins as he had watched her race in the Invictus Games. 'He said that Mikael slightly slowed me down and we giggled about that,' she said. 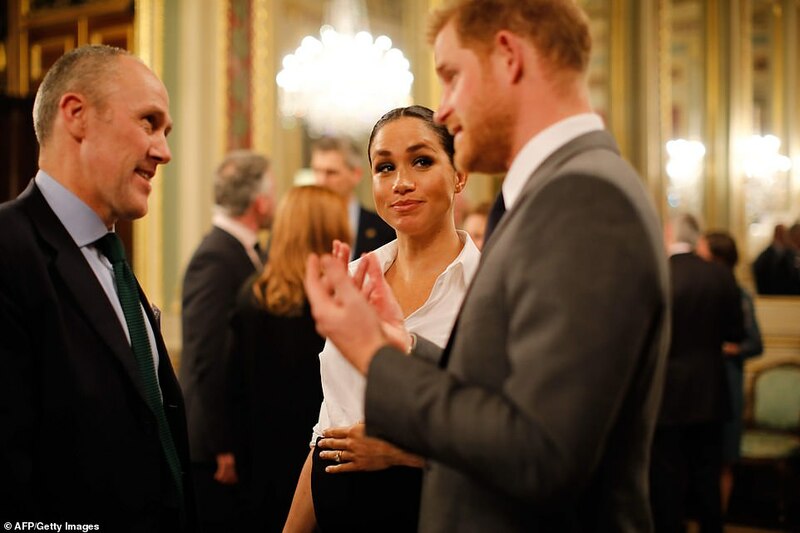 The Endeavour Fund is a body that was set up by the Royal Foundation of the Duke and Duchess of Cambridge and Duke and Duchess of Sussex to fund inspiring projects aiding the recovery of veterans. 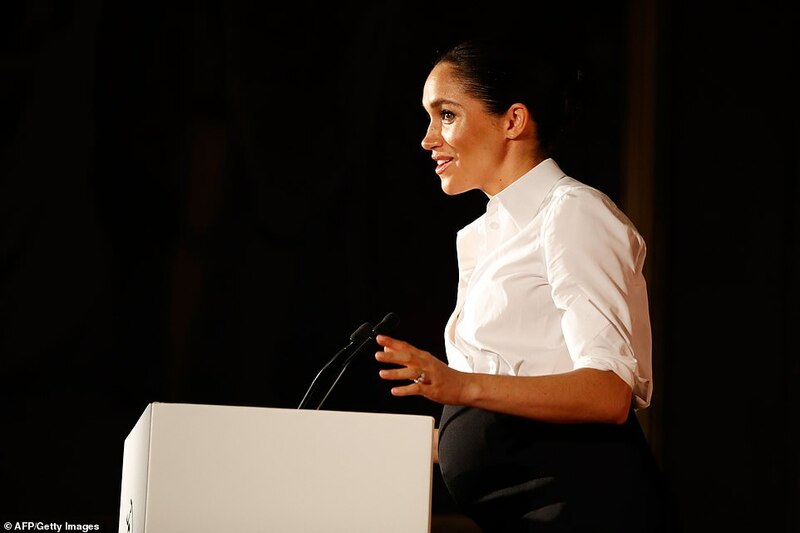 Harry, 34, and Meghan chaired the judging panel which chose the winners who will be announced at the event staged at Drapers' Hall in the City of London. They deliberated over three awards: Recognising Achievement, Celebrating Excellence, and the third named in memory of adventurer Henry Worsley, who died trying to complete the first unsupported crossing of the Antarctic. 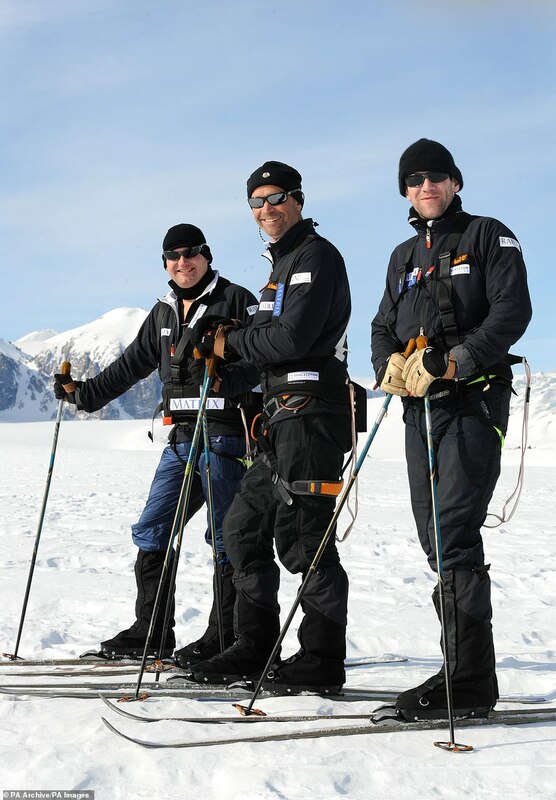 Worsley, a career soldier and an experienced polar adventurer, undertook the incredible expedition in order to raise money for the Endeavour Fund. 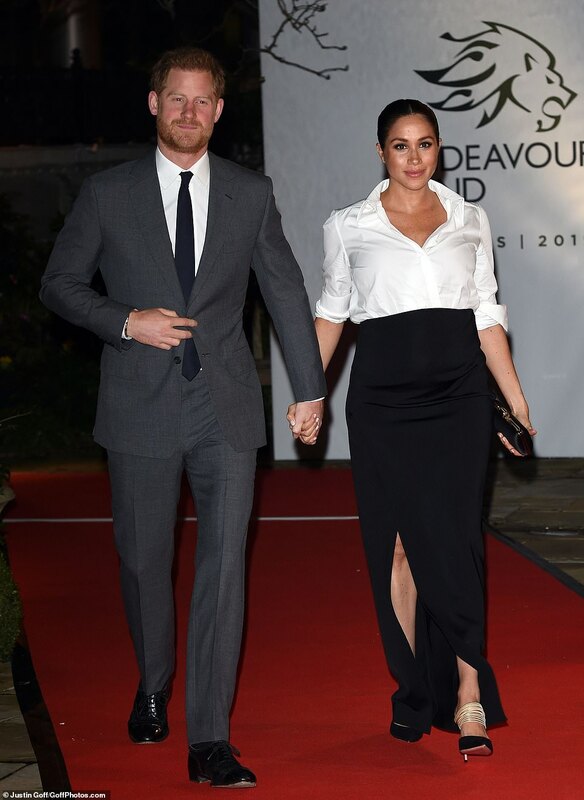 Is it the second year running that the couple have jointly attended the Endeavour Fund Awards, with their 2018 appearance being one of their first official engagements before their marriage. 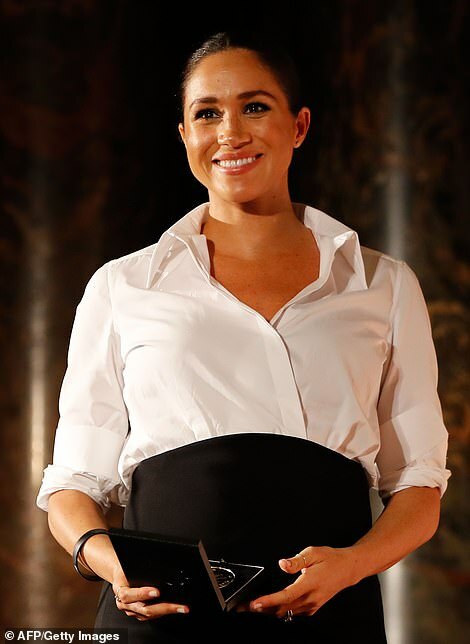 Last year she won fashion plaudits for her decision to ditch dresses and heels in favour of a sharp tuxedo suit from Alexander McQueen and towering heels. 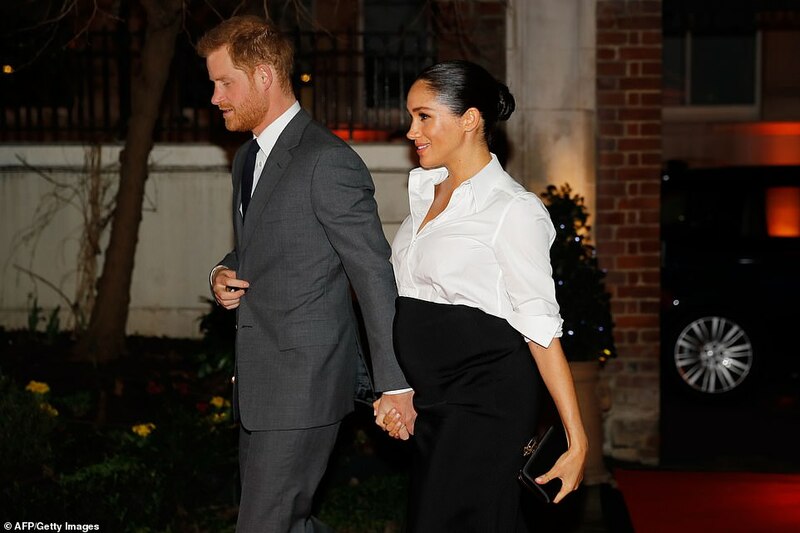 The couple, who are expecting their first child in the spring, recently let slip their due date when Meghan told fans in Merseyside that Baby Sussex will arrive 'at the end of April or May'. 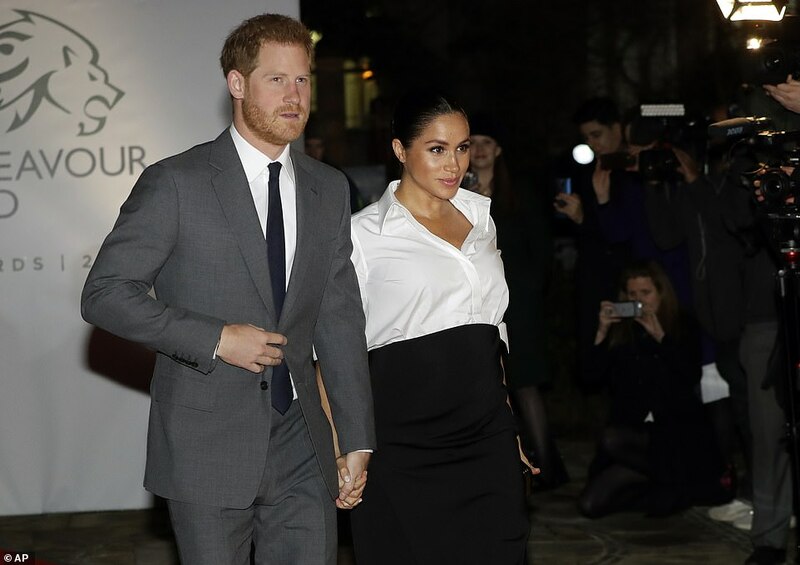 Their new marital home, Frogmore Cottage in the grounds of Windsor Castle, is currently undergoing extensive renovations said to include a £50,000 green energy unit and a gender-free nursery using vegan paint. Who was soldier and adventurer Henry Worsley? Stars and royals alike paid tribute to the legendary Henry Worsley following his tragic death in January 2016. 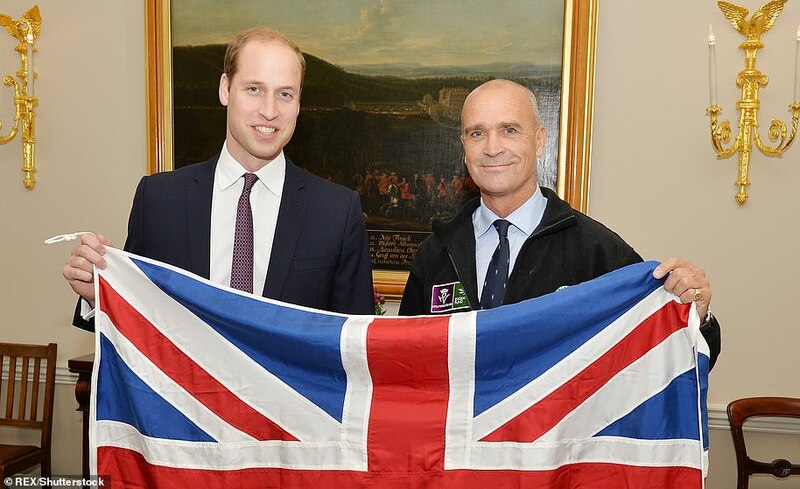 The ex-Army officer, 55, from Fulham, south-west London, was attempting to make history with his expedition to Antarctica and was just 30 miles (48km) from becoming the first adventurer to cross the continent unsupported and unassisted when he had to call for help. He was airlifted off the ice and flown to a hospital in Punta Arenas in Chile, where he was found to have bacterial peritonitis. He underwent surgery but died shortly afterwards. An exhausted-sounding Worsley said he was looking forward to a cup of tea and piece of cake, and resolved to 'gather my thoughts in a final message in the coming days'. Worsley was trying to complete the unfinished journey of his lifelong hero Sir Ernest Shackleton to mark the 100th anniversary of Shackleton's expedition. 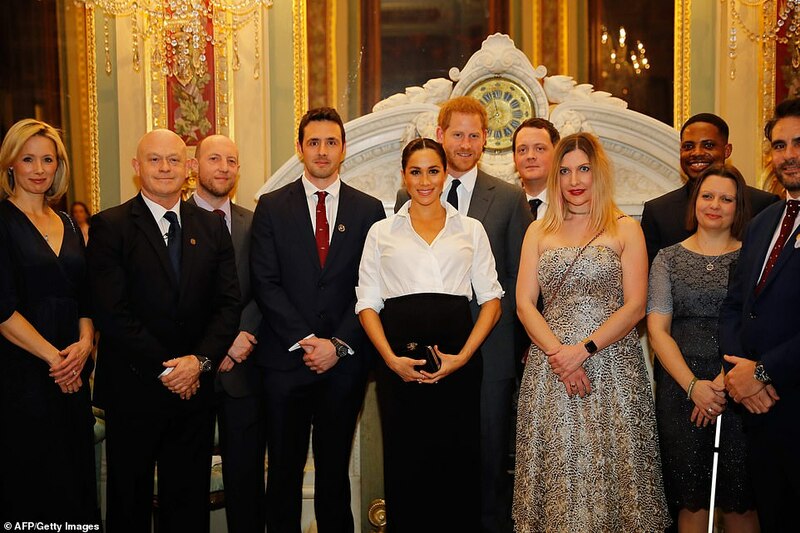 The trek was raising money for the Endeavour Fund, a charity which helps wounded servicemen and women and is managed by the Royal Foundation of The Duke and Duchess of Cambridge and Prince Harry. The Duke of Cambridge, who was patron of the expedition, said he and Harry had lost a friend as he paid tribute to Worsley's ''selfless commitment'' to fellow soldiers. Fellow adventurers Bear Grylls and Ben Fogle described their devastation at hearing the news. Battling temperatures of minus 44C (minus 47.2F), tackling white-out blizzards and treacherous ice, the former-lieutenant colonel was 71 days into his expedition, had passed the South Pole and covered 913 miles (1,469km). 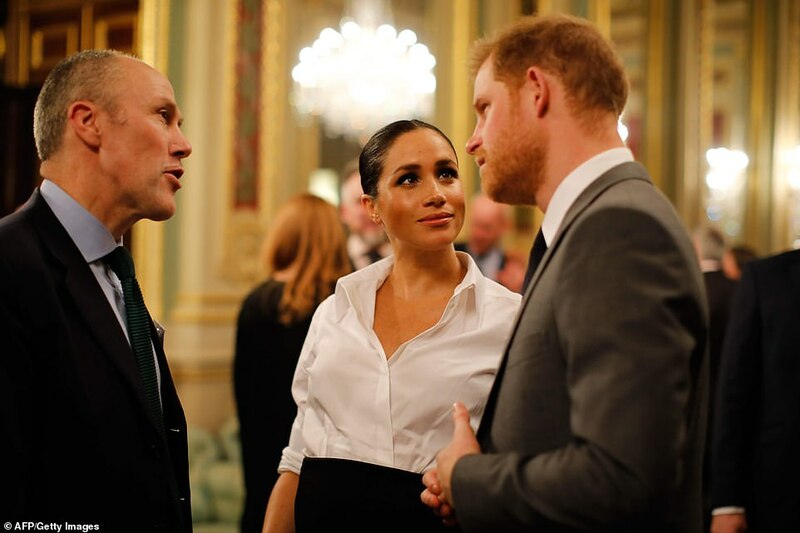 She paid tribute to her husband for reaching his goal of raising more than £100,000 to help wounded service personnel. 'Henry achieved his Shackleton Solo goals of raising over £100,000 for the Endeavour Fund, to help his wounded colleagues, and so nearly completing the first unsupported crossing of the Antarctic landmass,' she said. 'A crossing made, under exceptionally difficult weather conditions, to mark the 100th anniversary of Sir Ernest Shackleton's Endurance expedition - his lifelong hero. 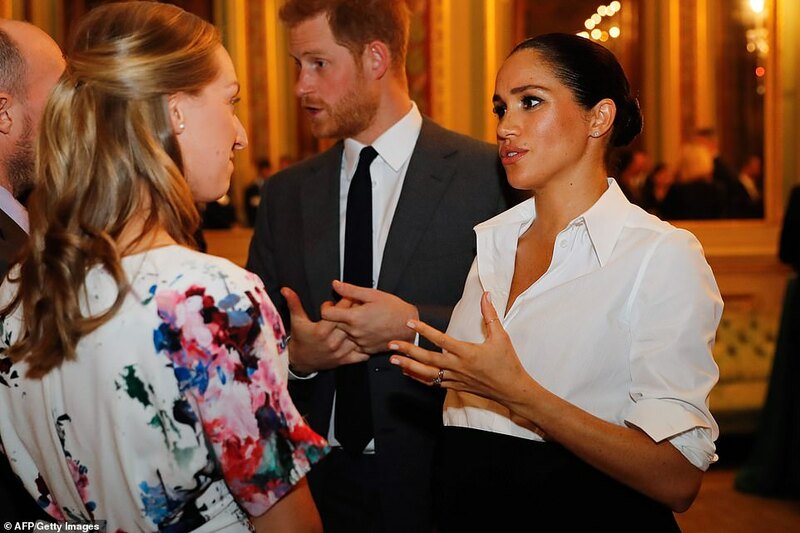 William and Harry pledged to ensure Worsley's family, which includes his two children, Max, 21, and Alicia, 19, received the help they needed in the wake of his death. 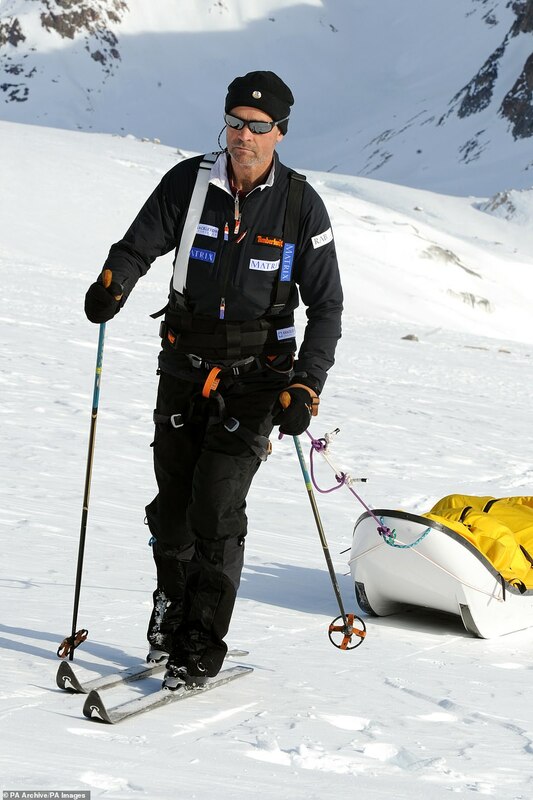 'Harry and I are very sad to hear of the loss of Henry Worsley. He was a man who showed great courage and determination and we are incredibly proud to be associated with him,' the Duke said at the time. 'Even after retiring from the Army, Henry continued to show selfless commitment to his fellow servicemen and women, by undertaking this extraordinary Shackleton solo expedition on their behalf. The Duke of Cambridge had waved Worsley off from Kensington Palace in October, ahead of the start of the trek, and sent him a Christmas message, telling him how proud everyone was of him. Peritonitis occurs when the thin layer of tissue lining of the abdomen becomes infected. Symptoms can include swelling of the abdomen, vomiting, chills, lack of appetite and a high temperature. Complications include sepsis and septic shock. In his final statement sent from Antarctica, Worsley described how his desire to help wounded soldiers with their rehabilitation was the central focus of his expedition, but that he had taken the decision to call for help. 'The 71 days alone on the Antarctic with over 900 statute miles covered and a gradual grinding down of my physical endurance finally took its toll today, and it is with sadness that I report it is journey's end - so close to my goal,' he said.